Collaborative Solutions is a proven leader in enterprise cloud deployments. 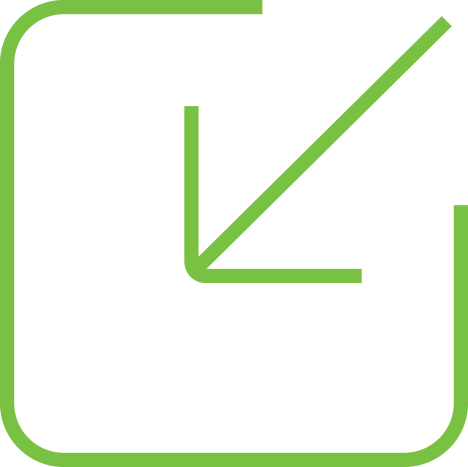 We bring the tools, templates, and expert consulting you need to go live on-time and on-budget. Collaborative Solutions understands that success is in the details, and we bring the proven tools and methodology you need to make your project a success. Leveraging our CYNERGY™ methodology, we work closely with your team, guiding them every step of the way from planning to post-production with defined validation checkpoints and testing at every phase. We pay close attention to your project scope, anticipating, tracking, and mitigating risk. If unforeseen business challenges arise, such as unplanned staffing changes or a merger, we can quickly adjust to meet those new needs and keep your deployment on track. Partnering with Collaborative Solutions means peace of mind that your cloud-based deployment will be delivered successfully. “Collaborative was referred to us by Workday. They stayed with us when other consulting companies did not. They were patient, creative problem solvers, and responsive to our overly complex needs." “As a genuine partner, Collaborative Solutions has been by our side throughout the implementation. They have positioned our business to move forward with many key initiatives." 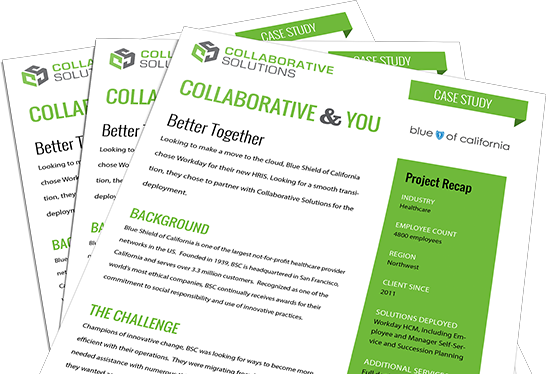 Blue Shield of California needed to unify its seven disparate systems and increase efficiency in its HR operations. Collaborative Solutions deployed Workday and helped streamline operations and lower total cost of ownership.